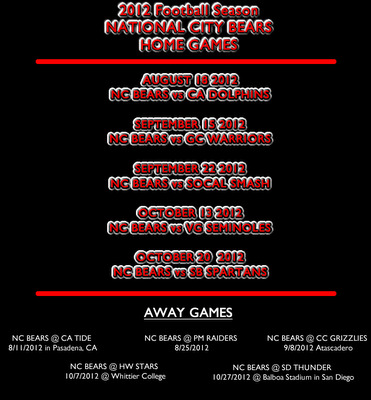 After an impressive 2011 season in the LCFL, the National City Bears join the newly formed California Football Alliance. The Bears are 1-0 after defeating the California Tide 24-21 in last week's season opener. They open their home schedule against the California Dolphins this Saturday at Sweetwater High School.